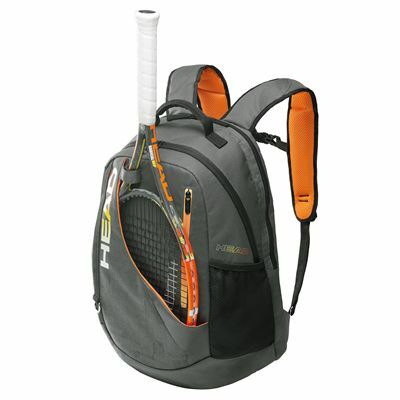 The Head Rebel is a stylish backpack that can hold up to 2 frames with handles sticking out (1 in a closed compartment in the main body of the backpack and 1 in a special racket compartment in the open front). It is also equipped with 3 inside mesh pockets, as well as 2 outside pockets for the necessities. The backpack has a carry handle and backpack straps for comfortable transportation. It is manufactured from polyester (100%) and comes in a grey/orange colour. for submitting product review about Head Rebel Backpack SS14.